Today’s epistle begins with verse 33 of that chapter, chosen for this Sunday of All Saints, but it follows a longer discourse on faith that begins in chapter 10 and continues up through today’s reading. In those verses we read of many stories from throughout the Old Testament, in which each figure accomplishes something “by faith.” For instance, “By faith Abel offered to God a more excellent sacrifice than Cain” or “By faith Enoch was taken away so that he did not see death” or “By faith Noah… prepared an ark for the saving of his household.” And it goes on. I encourage you to read all of chapter 11 when you are able. This little phrase, through faith or by faith, says to us something very profound about what we are celebrating today. How? As we look upon the icons of the saints or listen to their exploits in Scripture and in the accounts of their lives, we see these luminous, otherworldly figures who do things that seem superhuman to us. They are beyond us. They are so much better than us. They are truly devoted servants of God. For some people, they are religious “fanatics,” believing and doing things that are well outside the boundaries of reason or at least the reasonable. That is, it makes no sense for people to act like that, and it is not reasonable to expect people to act like that. But then we come back to that phrase—through faith. Why is that important? What does that mean for our celebration today? And why does it make the saints actually quite near to us? Why does it make what they do reasonable? And why is it reasonable to expect people to act like the saints? To understand, we first must talk about what faith is. The beginning of this chapter says that faith is “the substance of things hoped for, the evidence of things not seen” (11:1). This is not so much a definition for faith but rather a description of how it works out, and it is certainly a description of how faith worked out for all these saints. By faith, their hopes even for what is unseen, were made substantial and fulfilled. But what is faith? We may conceive of faith as being what the whole of Christian life really is. We are saved by grace through faith (Eph. 2:8), and if being saved is what the Christian life is about, then faith is what living as a Christian means. It has been beautifully said that being a Christian—and therefore living by faith—consists of three stages: believing, belonging and becoming. We believe in Jesus Christ, in Who He is, in what He is doing in this world. We belong therefore to Him in His Church, becoming part of this community of faith. And we become more like Him in a progression through time and even into eternity as a result of our participation in Him. So we may also say that our life in faith is about believing, belonging and becoming. This is what it means to be faithful to Jesus Christ, and this is the faith through which God’s grace saves us. After St. Gregory quotes that line, he goes on to remind us of all the great struggles and accomplishments of the martyrs and saints. And then he writes this: “That is why, when the psalmist and prophet declared, ‘God is glorious in his saints’, he went on to say, ‘he giveth strength and power unto his people.’” St. Gregory then points out that, while God gives power and strength to all His people, His glory is shown only in the saints. 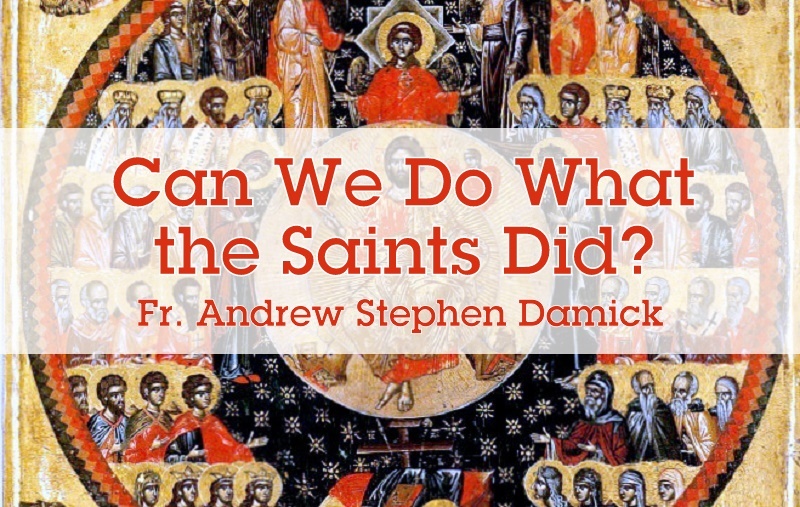 Why is the glory of God shown only in the saints? It is because of what we have been saying. The saints are acting through faith. St. Gregory says that only some “[take] advantage of His grace and power to practise and perfect virtue or show forth miracles,” only those “with a good intent, who demonstrate their love and faith towards God by good works, who turn away completely from everything base, hold fast to God’s commandments and lift up the eyes of their understanding to Christ the Sun of righteousness.” That is, it is only those who respond through faith. When we look at the saints and all they did, we can be tempted to think that they are not like us, that perhaps they are just legendary stories, or at least that they are so far above us that we could never be like them. But as Christians, we are all called to be saints. What made the saints holy was not something special that they were born with that set them apart from everyone else. What made the saints holy was also not that God gave them strength and power that He does not give to everyone else. What made the saints holy was that they responded through faith to what God was giving equally to all. That means that we all have the same potential to become saints. We all have the same potential to struggle mightily as they did, to accomplish all that they did. God is giving us exactly the same grace that He gave to them. And all we have to do is respond the way they did—through faith. When we look at our lives and compare them with the saints, we can be tempted to despair or at least to disregard of the commandments of God. We could never accomplish all that! But this story of all that the saints have accomplished is actually not about all that they accomplished. It is about all that God accomplished. It is about all that He is doing in them and through them. It is God Who gives strength and power to His people. The action of salvation for the world that is made glorious and wondrous in God’s saints is the action of God. It is not our own action. We don’t have to do it. We can’t do it. But what we can do is to become part of what God is doing. He is busily destroying the power of sin and death in mankind. He is giving strength and power to us to join Him in that mission. Will we join Him? Will we respond by faith—by believing, belonging and becoming? Will we, as St. Gregory says, have a good intent and take advantage of that grace, demonstrating our faith and love for God by good works, by perfecting virtue, by turning away from what is base and lifting up our eyes to the Light of the world Jesus Christ? If we do that, responding today with the faith that we have, then God will be glorious in us and will be wondrous in us. And we will then join that “great cloud of witnesses,” running “with patience the race that is set before us, looking to Jesus the Author and Perfecter of our faith” (Heb. 12:1-2). We don’t have to try to do what the saints did. We just have to join what God is doing. A modern-day example for us to relate to and follow is Papa-Dimitri Gagastathis, a simple married village priest who tried to do what the Saints did and became one. He not only had faith, but works that proved his unshakable faith. During the Greek Civil War, he did not compromise his faith when pressured by the Communists to “just go along” as all of the other priests did, and he was persecuted for it. Being faithful to Christ and His Church meant more to him than the promise of living comfortably, which, he said, would have made a clown out of him. Yeah I feel that its essential that we strive to imitate the saints. 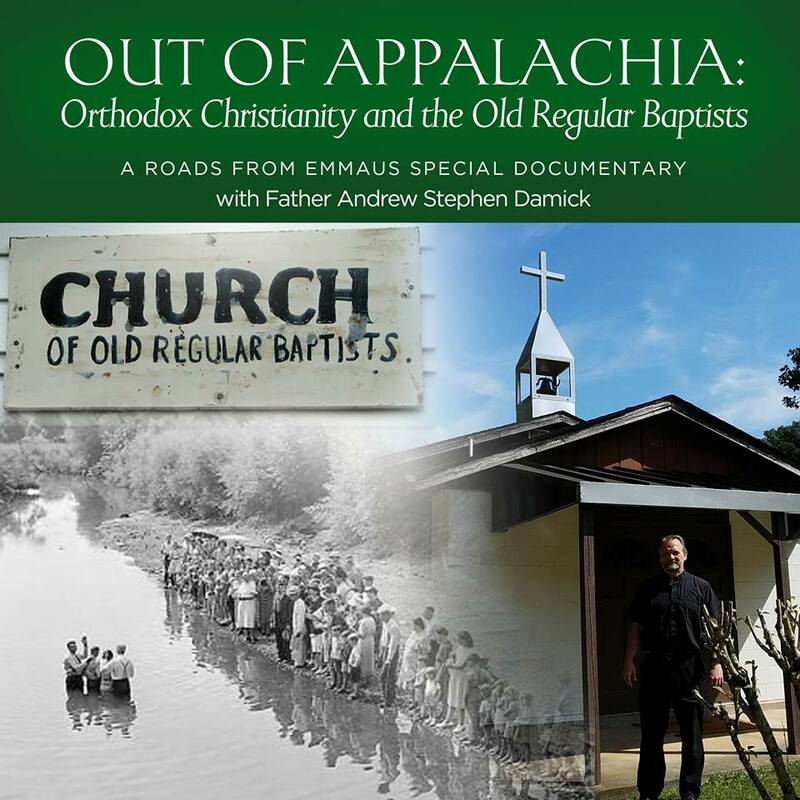 I think that without that adventurous of life of trying to struggle for their level of grace and the overflowing of the Holy Spirit that they had, then someone might really never find the deep beauty and joy in Orthodoxy. “It was during his university years that the Orthodox education and outlook which Michael had received in his childhood came to maturity. Young Michael saw the point of this upbringing. He saw that the Lives of the Saints, in particular, contain a profound wisdom which is not seen by those who read them superficially, and that the proper knowledge of the Lives of the Saints is more important than any university course. And so it was, as his classmates noticed, that Michael spent more time reading the Lives of the Saints than attending academic lectures, although he did very well in his university studies also. I think it really shows how spiritually inspired and educated we can become by studying the lives of the saints.